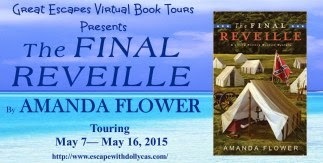 I enjoyed interviewing Amanda Flower for this book tour stop! I knew I wanted to be a writer when I read a story I wrote to my sixth grade English class, and the class and my teacher laughed at my description of being stuck at the top of a Ferris wheel. I knew in that moment I had found my calling to make people laugh with my words. 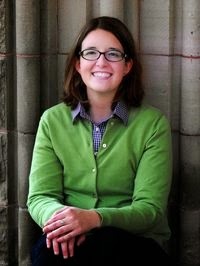 In addition to being a writer, I’m a fulltime college librarian, so every day of my life looks a little bit different because I write about my work schedule that varies from week to week. However, I do most of my writing on Saturdays and Sundays I’m not working. On a those days, I can write up to seven thousand words in a day. I usually write better when I have a large chuck of time to really get into the story. One of my writer quirks would be I like to wear a hoodie with the hood up when I write. I suppose it gives me tunnel vision. I feel like I have a good grasp on American history, but I was surprised to learn that Walt Whitman served as a nurse to wounded soldiers during the Civil War in Washington DC. He would read his poems to the men to comfort them. I loved that fact and had to put a Whitman reenactor in the book because of it. That’s such a tough question. There are so many. Some of my favorite mystery authors are Heather Blake, Kylie Logan, and Rhys Bowen. There are many more than that! Currently, I am in the middle of a very busy writing year. I am under contract to write five mysteries this year for Midnight Ink and Penguin/NAL. I write mysteries under my name and the name Isabella Alan. I’m currently working on the sequel to The Final Reveille called The Final Tap about maple sugaring on Barton Farm. My next cozy to release after The Final Reveille is Murder, Plainly Read, which is the 4th novel in The Amish Quilt Shop Mystery Series I write as Isabella Alan. 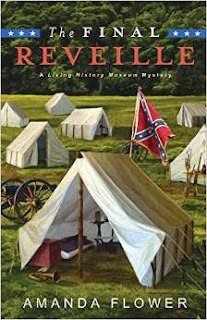 There is a Rafflecopter Giveaway for copy of the Final Reveille, one pb copy of Maid of Murder, one copy of one of my Isabella Alan mysteries, and a Ohio country gift. What a great interview! And Charlotte's Web was one of my favorites - remember well my teacher reading it to us on days when homework and classes went quickly. Wanted to read this since the first time I heard about it - history, mystery, re-enactment and cat! :-) Can't get better than that!